The training sessions in Elite Soccer are extremely useful for coaches at all levels of the game. One of the most respected players in English football history, Steven Gerrard made over 700 appearances for his home club of Liverpool, winning the FA Cup twice and the League Cup on three occasions. Most notably he lifted the Champions League trophy as captain in 2005, inspiring Liverpool to an incredible second-half comeback from 3-0 down to AC Milan. That year he also finished third in the Ballon d’Or vote, the annual award to recognise the best players in Europe. He left Liverpool in 2015 as the only footballer to have scored in an FA Cup final, a League Cup final, a UEFA Cup final and a Champions League final, finishing on the winning team on each occasion. As an international, he represented his country 114 times, making him England’s fourth most capped player ever. Winding up his playing career in the USA at LA Galaxy, he completed two seasons in Major League Soccer. On returning to the UK, he was linked with the vacant manager’s position at MK Dons, but instead he returned to Liverpool in 2017 to serve his apprenticeship as a youth coach. He was soon promoted to manager of the club’s U18 side and was subsequently put in charge of Liverpool’s U19s for the start of their 2017–18 UEFA Youth League campaign. 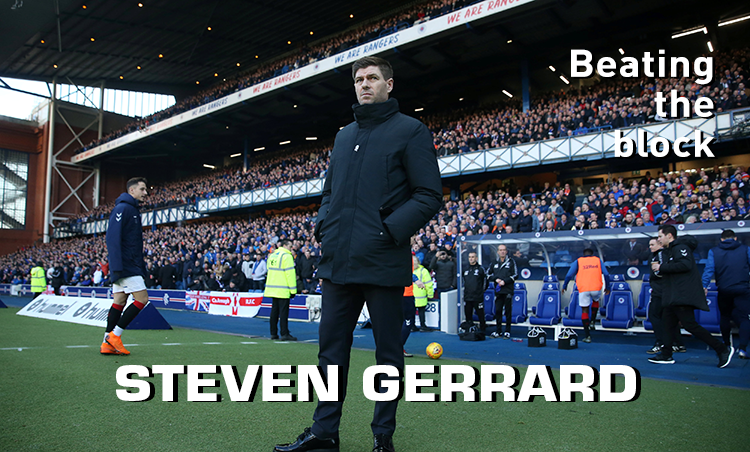 Ahead of the 2018–19 season, Gerrard was appointed manager of Scottish giants, Rangers, signing a four-year deal. He made his senior managerial debut on July 12, when he led Rangers to a 2–0 Europa League win over Macedonian side Shkupi. Under Gerrard’s management, Rangers went 12 matches unbeaten in all competitions from the start of the season.